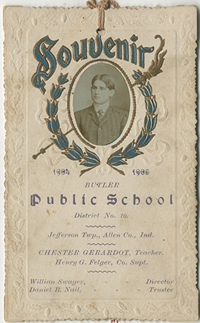 Butler Public School was in District No. 10, Jefferson Township, Allen County, Indiana. 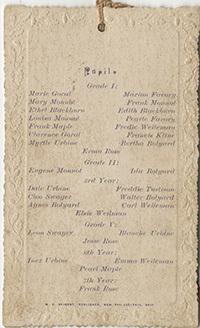 Click here to see larger images of the program. Felger Henry G. County Supt.